Shortly before Rose Quigley married her long-term partner Francisco Molina in 2014, she noticed that Francisco’s eldest daughter, Eliana, who Rose first met when the girl was two-and-a-half years old, was experiencing sporadic tics. Over time, these involuntary movements intensified, causing seizure-like behaviors in the 10 year old. Eliana’s mother, Bibi, Francisco and Rose knew Eliana already faced significant challenges. Born with tuberous sclerosis complex, a genetic disorder that causes non-malignant tumors to form in multiple organs and can cause developmental delays and autism-like symptoms, Eliana struggled in school and sometimes had trouble understanding social expectations. But she was full of love and optimism. Eliana always had a smile on her face and gave the best hugs to teachers, friends and family. Doctors called Eliana “a poster child” for the disorder because of her positive presentation and her ability to function at a high level. When she was 8, Eliana attended Camp Wannagoagain, The Autism Project’s Summer Camp. “Eliana was in love,” remembers Rose. “I didn’t get even one bad report. And I didn’t have to worry that people wouldn’t understand her.” Eliana returned to the camp three summers in a row. Rose’s experience with various programs and camps that could not accommodate Eliana helped inspire her and her friend Kristen Spencer to launch SocialSparks, a Social-Emotional Learning Center that provides therapeutic programs for children with social-emotional learning differences. “We wanted to create a place where no parent would ever hear, ‘I don’t think this is working out,’” said Rose. So when Eliana began exhibiting tic-like behaviors, her mother, father and Rose sought medical help. Doctors discovered a benign tumor in Eliana’s brain that was not uncommon with her Tuberous Sclerosis Complex diagnosis. First, they tried a medication that could shrink the tumor. It worked but made Eliana very sick. When they stopped the medication, the tumor grew back, even larger than before. Doctors assured the family that the tumor could be removed with laser surgery, considered a safer option than open brain surgery. 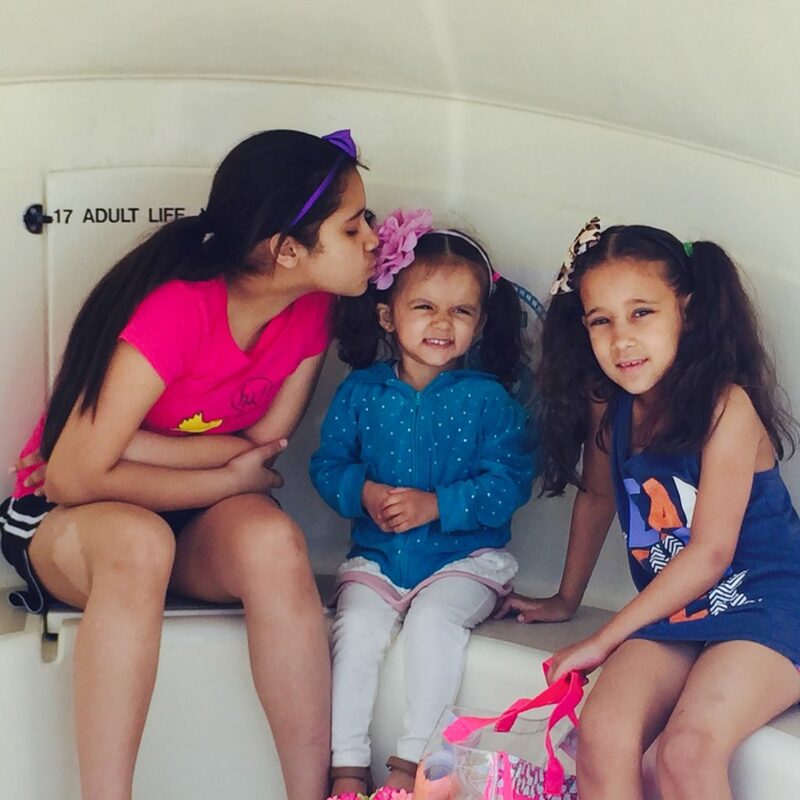 On November 2, 2015, Eliana entered a Boston hospital to have the tumor removed. Initially, the doctors and her family thought the procedure had gone well. But within a short amount of time, it became clear that there were serious complications, and Eliana had to be placed on life support. Eliana died on November 9, 2015. She was 11 years old. Rose and her family have struggled to manage the weight and depth of their grief. In the first several months after Eliana’s death, while she tried to remain strong for Bibi, Francisco and her two young daughters, who were all devastated by the loss of their daughter and sister, on the inside, Rose was crumbling. She grew depressed and lost. She feared the resilience that had helped her navigate her challenging childhood had deserted her. Who would she be without it? Rose found comfort in her family and her work, but some days, her grief swamped all the good things going on in her life. Emotions were intense and at times unbearable. Rose launched an award-winning Kindness Initiative at the high school she serves as a social worker. Rose believed that encouraging her students to demonstrate kindness to one another was one of the most powerful ways she could ensure that Eliana’s impact on the world would continue. Rose found great solace in her work as a social worker and clinician, and the work helped her begin the healing process. “Be the reason someone smiles today; make good choices,” Rose frequently tells her students. Eliana always gave Rose a reason to smile. Rose and Kristen developed new programs at Social Sparks and last year, Rose make a conscious decision to work on herself. She began exercising more and eating healthier, and made a commitment to her holistic health—body, mind and spirit, knowing these changes would also help her manage her grief. Earlier this year, Rose took an eight-week course in mindfulness through the Center For Resilience, which provided another healing tool that helps her be in the present moment and feel gratitude for what is. “I made it a mission to try to discover the best version of myself,” Rose says. Despite all of these positive steps, the past two-and-a-half years have been tremendously difficult for Rose and her family. She and Francisco have dealt differently with the loss of Eliana and are still figuring out what that might mean for their family’s future. 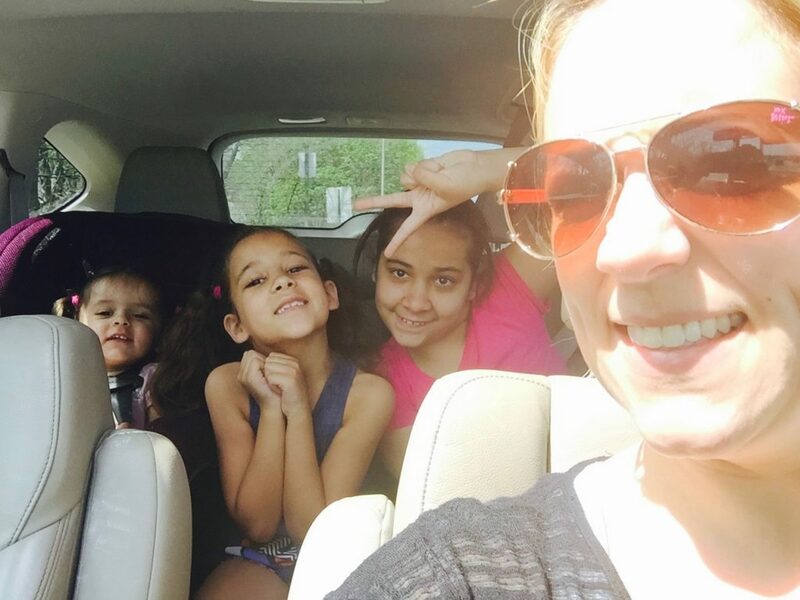 She misses her step-daughter every day, but is now also able to appreciate small moments with her younger daughters Sianna, Zoey and her friends, and to feel joy again. “Eliana is with me with every interaction I have with families, students and children I work with,” Rose says. “She’s the reason behind my immense dedication to my work as a social worker.” Rose sees now that her resilience was always with her, under the surface, helping her to weather the most difficult loss of her life. 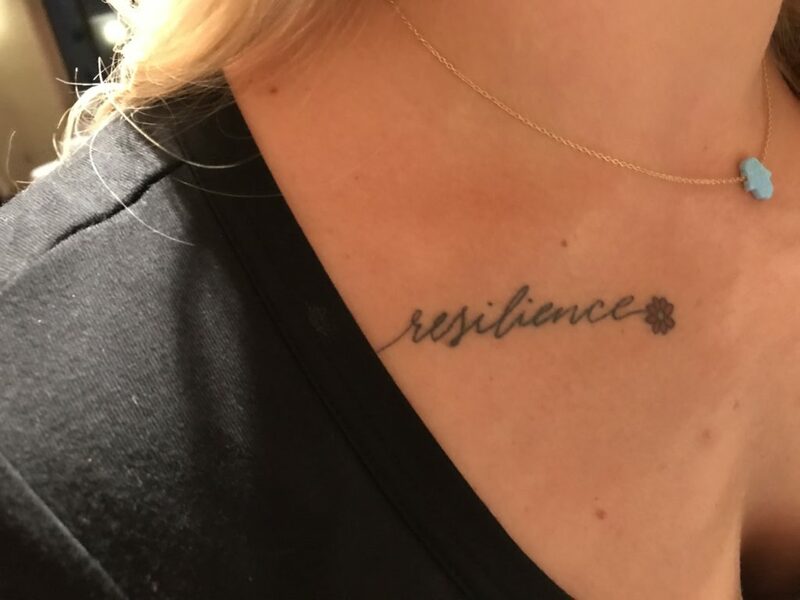 For Rose’s birthday last year, she had the word RESILIENCE tattooed under her collarbone, the one thing she knows she will always carry with her. Mindfulness During a Lockdown Drill?